In Australia, Father’s day is 2nd of September. I needed a card and so I made one. 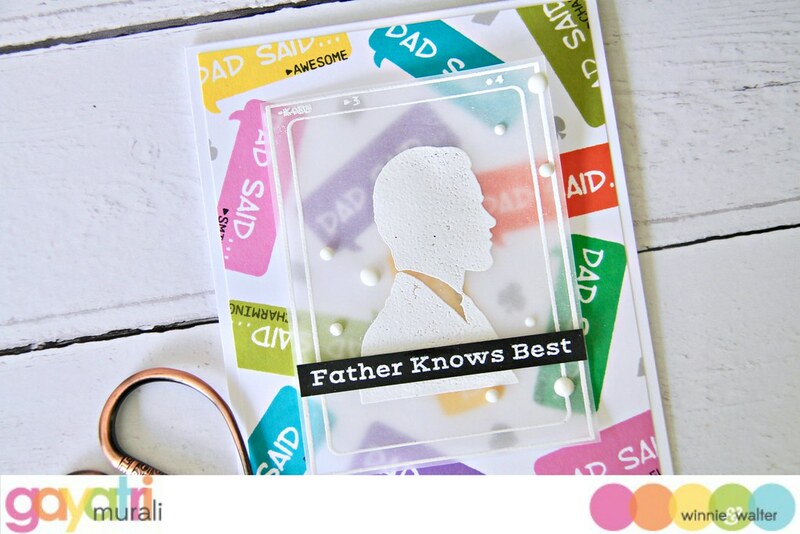 For the card, I used Winnie & Walter’s The write Stuff: Leave it to Dad stamp set to make my card. 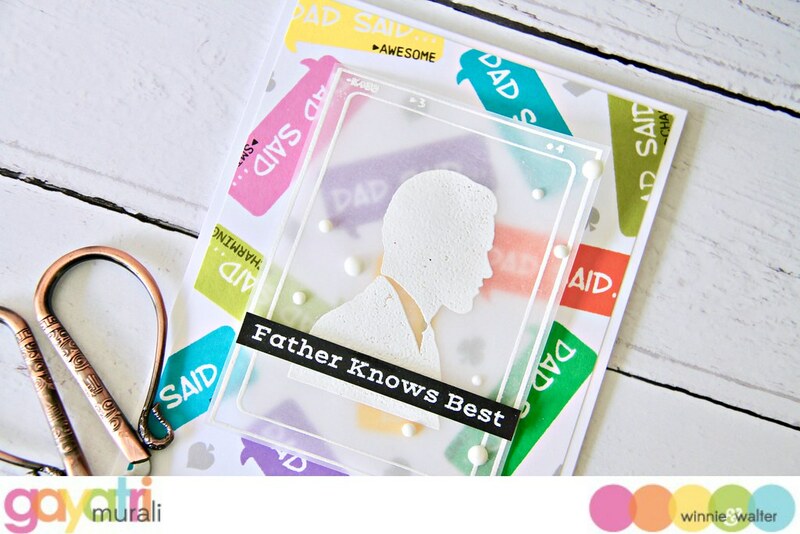 I used various Altenew inks to stamp an entire white panel using the speech bubble from the stamp set. I have listed all the inks used below in the supplies. Then I stamped the secondary sentiment inside each speech bubble using black ink. I trimmed the panel to 4×5.25 inch in size and adhered on a white card base using foam adhesive. 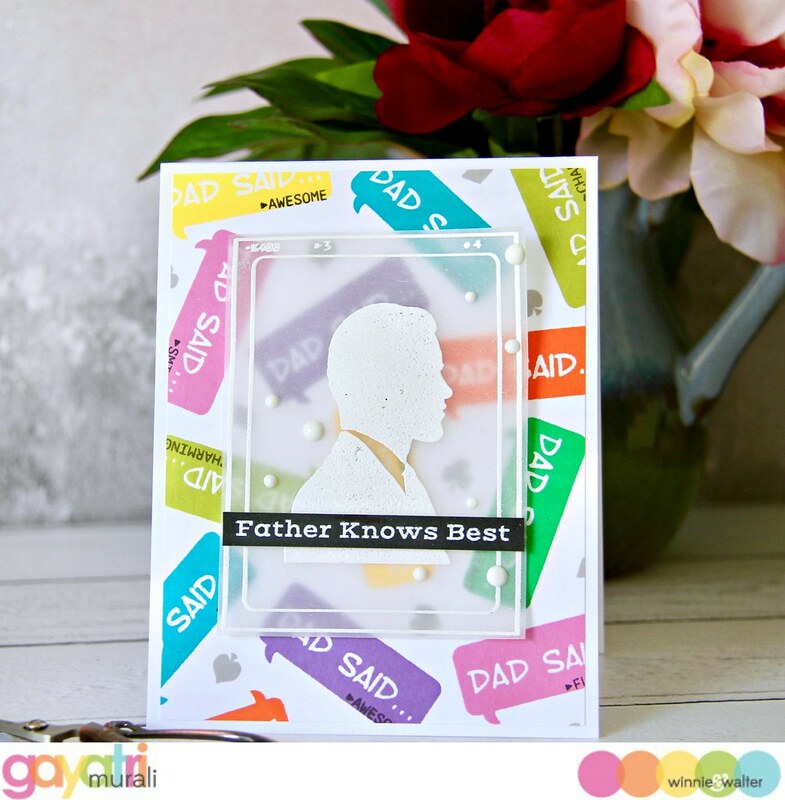 For the focal point, I white heat embossed the frame and the silhouette images on heavy weight vellum, trimmed and adhered on the centre of the card front using foam adhesive hidden behind the silhouette embossed image. Finally the main sentiment I white heat embossed on a strip of black cardstock and adhered below the white heat embossed silhouette image using foam adhesive. A few white Nuvo crystal drops to complete the card. 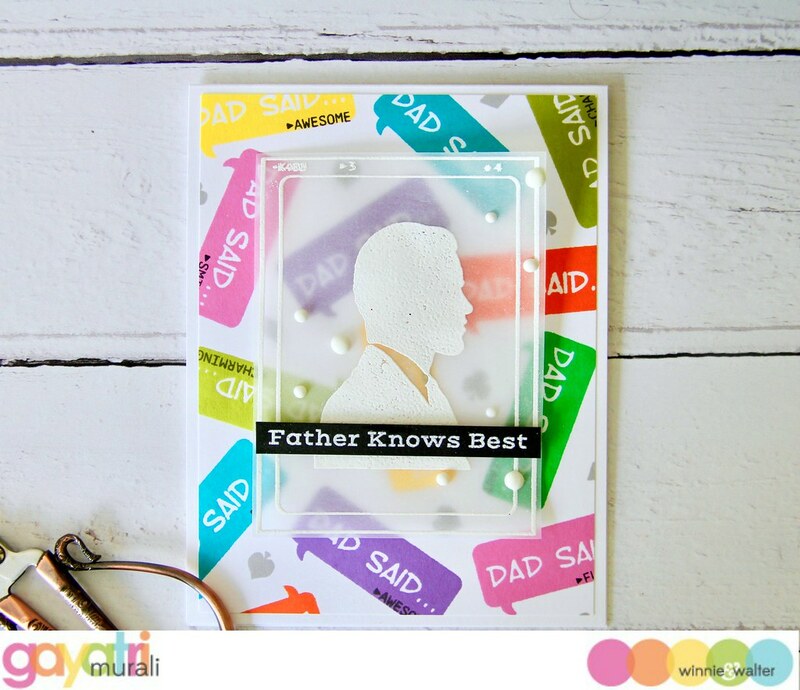 I love the colourful background with all the white space and white embossed focal image. A different father’s day card. Hope you enjoyed it. Thanks for visiting. Supplies Listed below. 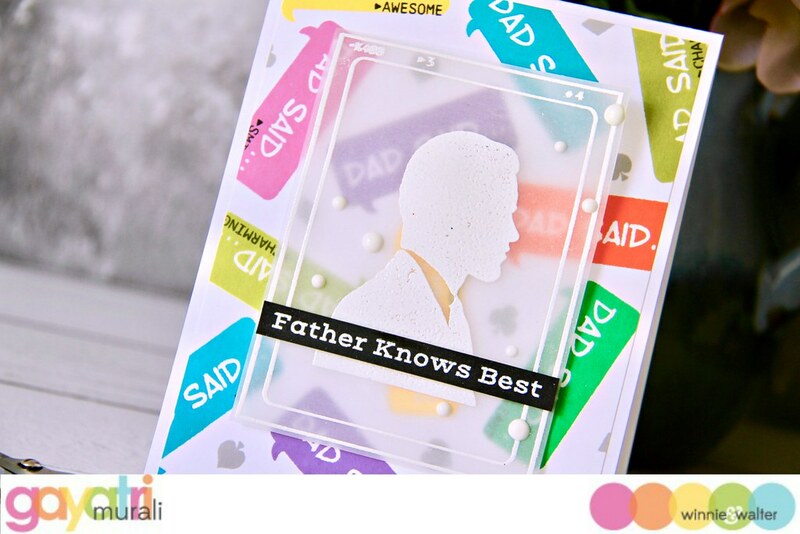 Awesome Dad card! I definitely need to remember this one for Father’s Day in the US next year. Thanks for the inspiration and Happy Father’s Day to your Dad. Love your card! It’s a good idea for a dad’s birthday card as well! Thanks for the inspiration! 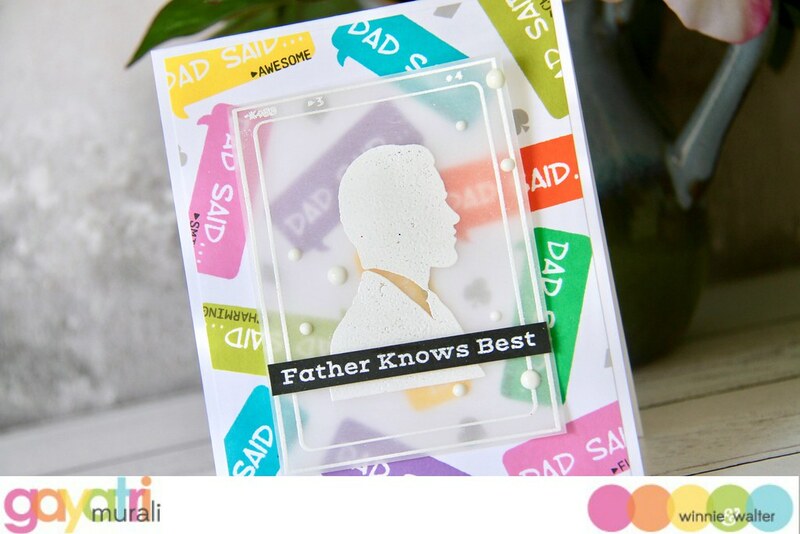 Such a fabulous Father’s Day card!